Moody’s Investors Service has maintained its outlook for the UAE’s banking sector at stable, with faster economic growth in 2018 expected to support the credit growth in 2018. According to Moody’s analyst Mik Kabeya, credit growth of approximately five percent is forecast for 2018, after a forecast lower growth of 2 percent in 2017, compared to 5.8 percent in 2016 and 8 percent in 2015. The Mooody’s report found that loan performance is expected to soften, following “sluggish” economic growth in 2017, while problem loans will go higher, reaching 5.5-6 percent of gross loans by 2018, compared to 5.3 percent in June. A high concentration of loans to government-related entities and to a volatile real-estate sector pose downside risks to loan quality, the report added. 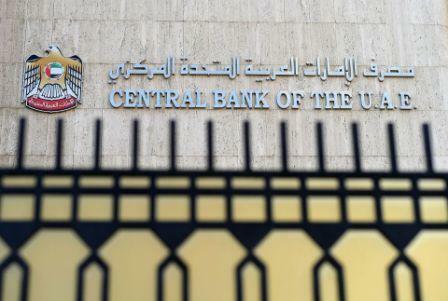 The capital levels of UAE banks will remain strong over the coming 12 to 18 months, at between 14 and 16 percent of risk-weighted assets, which Moody’s attributes to banks’ internal capital generation and lower growth in risk-weighted assets, which provide a “substantial” cushion against softening loan performance. “Stabilising oil prices and international bond issuances will continue to support funding and liquidity conditions in the country, following a tightening during 2016 amid oil price weakness,” Kabeya added. Over the next 12 to 18 months, profitability is expected to remain strong, with a net income of between 1.5 and 1.7 percent of tangible banking assets, with thinner margins balanced by lower operating expenses and stabilising provision charges. According to a study conducted by the First Bank of Abu Dhabi, the UAE’s banking system remains the top banking system in the GCC in terms of assets in the first half of 2017, with the total assets of 48 banks reaching AED2.66 trillion ($723 billion) in 2016. Saudi Arabia’s banking system came in second with $611 billion in assets by the end of June, following by Kuwait ($206 billion), Bahrain ($185 billion) and Oman ($80 billion). In terms of individual banks, First Bank of Abu Dhabi topped the list with $170 billion in assets, followed by the National Bank of Saudi Arabia ($120 billion), National Bank of Kuwait ($85 billion), Ahli United Bank in Bahrain ($32 billion) and Bank Muscat ($29 billion). First Bank of Abu Dhabi was also found the most profitable in the first half of the year, with profits of approximately $1.5 billion, followed by Al Ahli Bank of Saudi Arabia ($1.36 billion), National Bank of Kuwait ($549 million) Ahli United in Bahrain ($311 million) and Bank Muscat ($22 million).